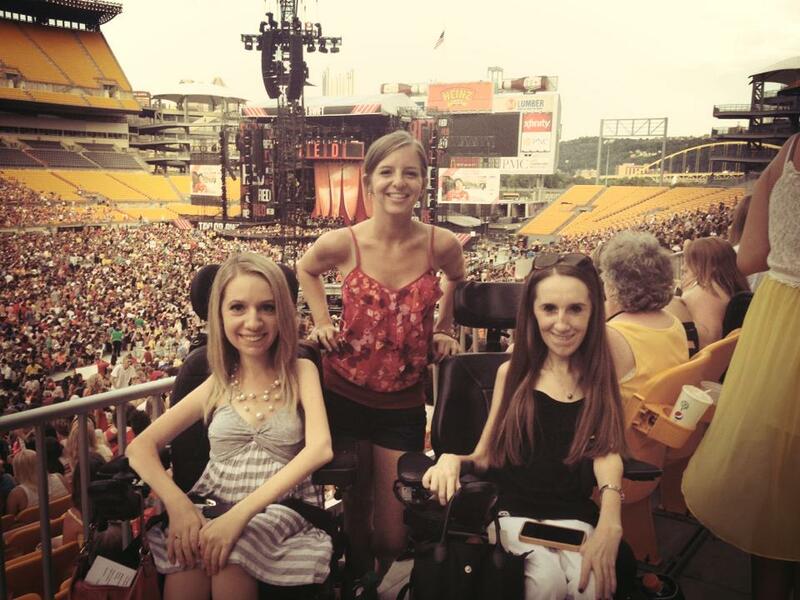 I'm really excited - tonight, I'm going to see Taylor Swift at Heinz Field. This isn't my first time going to one of her shows - they're always such an amazing time, and everyone in the audience is having a blast. But thinking about going to tonight's show makes me think back to the last time I saw Taylor Swift. From the pictures, you wouldn't know that anything was wrong - sure, I look a little skinny, but I look happy and excited just like everyone else in the audience. In reality, I distinctly remember what a rough day that was for me. I hadn't yet gotten my feeding tube, I was desperately trying (and failing) to gain weight, and I was just flat-out exhausted all of the time. I was worried about my weight all the time, too, which just made me stressed and emotional, and there were a lot of questions about my health - was I going to need a feeding tube, why couldn't I gain weight, how was I ever going to feel better, was this really a physical problem or a mental one? Going to concerts in general require a lot of logistical planning for me - timing drop off and pick up before and after the show, plus planning out my bathroom timing strategically... it's a real art. So then, when I had to add worry about what I would eat at the show, and if I'd be able to make it through the concert without feeling like I couldn't breathe, it was just too much for me. I lost it before the concert - I just started crying and couldn't stop. I am not quite sure how I got it together before the concert, but I did make it. And while the concert itself was great, the memory from earlier that day definitely lingers. It's crazy to me how much has changed for me since then. It was hard to imagine ever feeling better again, but now that I do feel better, it's hard for me to imagine how I could have felt that bad for that long. Perspective really is a funny thing. With that all being said - the memory of that low makes me even more excited to see the show tonight. I'm so appreciative for how much better I feel, and looking forward to being able to enjoy this concert worry-free!